What are the top landmarks in Brighton? Visit this famous spot on the Sussex coast, where you can enjoy waterside activities during the day and an energetic nightlife after dark. Brighton Centre is just one of the places to see in Brighton, so why not enjoy the other things to explore during your travels? Visit the area's shops or amble around its seaside. Take a leisurely stroll around this remarkable port, where houses and apartments stand alongside moorings for impressive ships and yachts. Enjoy a trip to Brighton Pier, a well-known attraction in Brighton. Visit the area's shops or amble around its seaside. Watch a dramatic performance, a classical music display or a modern dance show in these historic buildings that once housed the royal family’s horses. Get a closer look at some of the world’s oldest elm trees at this spacious park where concerts and fairs take place. Seafront is a welcoming neighbourhood. Brighton City Centre is a neighbourhood that welcomes all visitors. 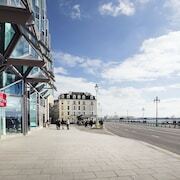 Kemptown is a welcoming, walkable neighbourhood with convenient options for bars and restaurants. Many visitors come to enjoy the natural beauty of the beaches, while others visit for the local shopping. One of Brighton’s most popular shopping areas is a set of old winding streets lined with everything from antique shops to quirky boutiques. Experience life away from Brighton’s major tourist center while wandering the architecturally impressive streets of this elegant neighborhood. 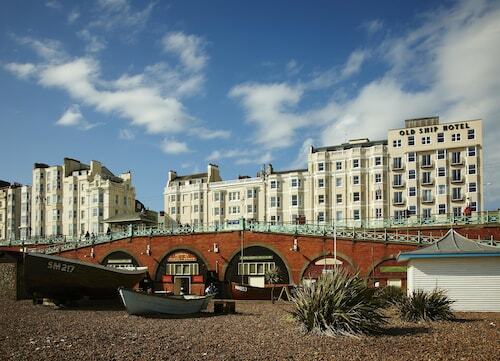 These hotels are located throughout the area in Brighton. Nice friendly staff very helpfully location just out of brighton but two lo very village near by. Sea views available for extra payment, close to the centre of Brighton and of course the sea front. Situated right in the middle of Brighton, it was a great place to get out and explore the city on foot. The Lanes are what makes Brighton spcial in my opinion, a mix of Covent garden and Camden by the sea! 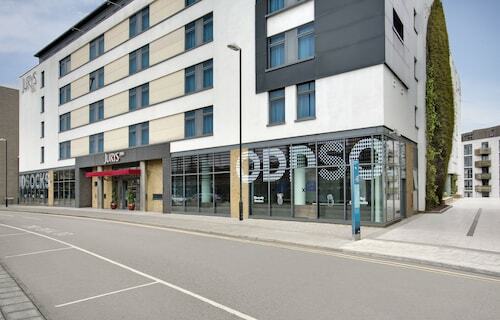 Love the location of this hotel has everything you need very so by Staff are helpful. With its cosmopolitan feel, rich history and lively cultural scene, Brighton is one of the most attractive holiday spots in South East England. From sailing to theatre to bars and clubs, this coastal resort has lots to keep you entertained at any time of the day or night. 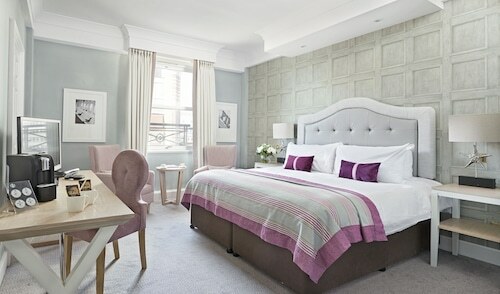 The city is also packed with a wide range of hotels and B&Bs to suit every budget. 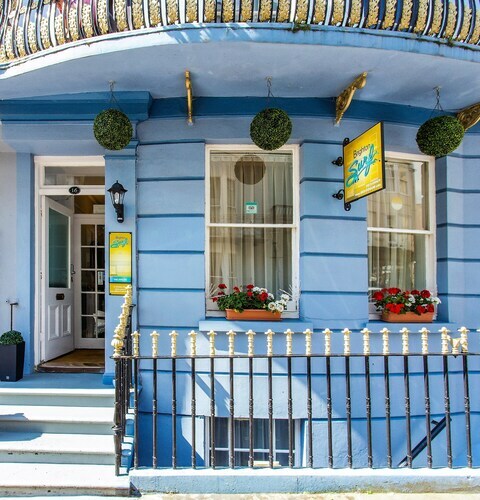 The Kemptown district is known for being home to the best B&Bs, while the seafront hosts some of the grandest hotels in East Sussex, many of them dating back to the Victorian period. There are also some excellent and affordable hostels, ideal for backpackers. 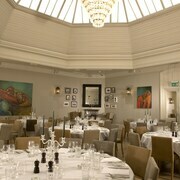 For something opulent and historic, try The Grand Brighton, on King's Road. Alternatively, My Brighton offers a more modern choice right in the heart of the cultural quarter, across the road from The Brighton Dome, an arts venue. If the weather's not right for jumping into the sea, look for a hotel with an indoor pool, such as the Queens Hotel. Brighton’s golden pebble beach has meant the city has long been a popular summer destination. In the 19th century, many new hotels appeared along the waterfront. Today, in addition to the traditional pier, the seaside area boasts some newer landmarks, such as the British Airways i360 – a futuristic observation tower with a mobile viewing pod that makes use of renewable energies. 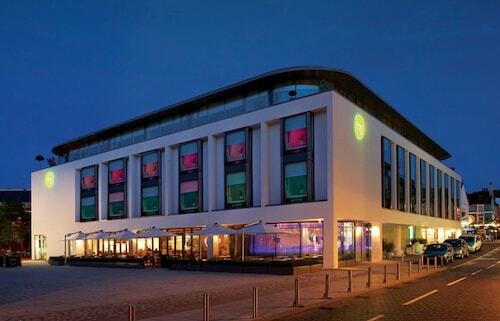 And as you would expect, there are plenty of places to eat, drink and shop along the promenade. From the city's month-long fringe festival to the famous Brighton Pride Festival in the summer, Brighton’s calendar is packed with annual events catering to many different crowds. The city is a famously inclusive place, which contributes hugely to its cultural and artistic buzz. Brighton’s thriving LGBT scene is one of the city’s big draws all year round, not just during Pride. LGBT bars, cafés, clubs and pubs are located throughout the city, but you’ll find the majority in Kemptown. Brighton is a creative hub, and it always has been. From the ostentatious Royal Pavilion, built for the eccentric Prince Regent in the early 19th century, to the plethora of artists' studios and galleries that punctuate the Brighton Lanes, signs of the city’s originality and inventiveness abound. As well as tiny independent galleries, Brighton is home to spectacular cultural attractions such as the Brighton Museum and Art Gallery, which covers everything from fashion to fine art. 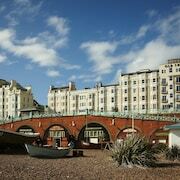 How Cheap Are Hotels in Brighton? 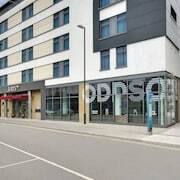 There’s a good range of relatively cheap hotels in Brighton, and many of these won’t require to you sacrifice proximity to the sea or town centre. However, Brighton gets very busy in the summer months, and the best deals are always snapped up quickly. You will need to book as far in advance as possible if you want to save. Plan ahead and you could find a private double room for around £50 or less. Being willing to share a bathroom will bring down costs, too. 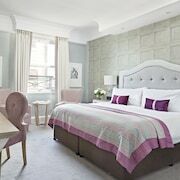 Does Brighton Have Family-Friendly Hotels? The fairground attractions of Brighton Pier, as well as the beach itself, make Brighton an excellent destination for families. Younger children can enjoy gentle rides such as the old-fashioned carousel, while teenagers will revel in the city’s cool, youthful café culture. And enjoying an ice cream by the seaside is a treat that tends to appeal to parents and kids alike. 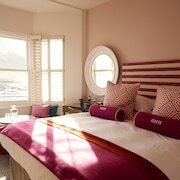 It’s no surprise then, that there is an extensive selection of family-friendly hotels in Brighton. Many hotel rooms offer additional sleeping spaces for several children, as well as optional cribs. A large number of hotels in Brighton even welcome pets, so you can also bring the family dog along. 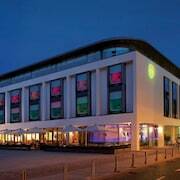 One pet- and family-friendly accommodation option is the Hilton Brighton Metropole. The hotel even has an indoor pool for the kids to play in when they need a change of scenery from the beach. 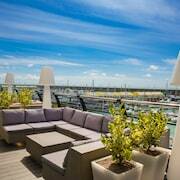 The Oriental, close by, is another possibility if you’re travelling with children and pets. It doesn’t have a swimming pool, but rooms are usually slightly cheaper. 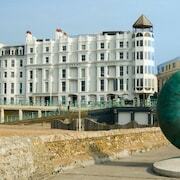 If you’re considering other English seaside towns for your holiday, you could try our hotels in Eastbourne. 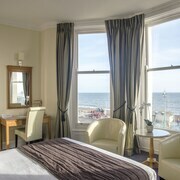 Or for another alternative, look at our hotels in Hastings. Explore Brighton with Expedia's Travel Guides to find the best flights, cars, holiday packages and more!